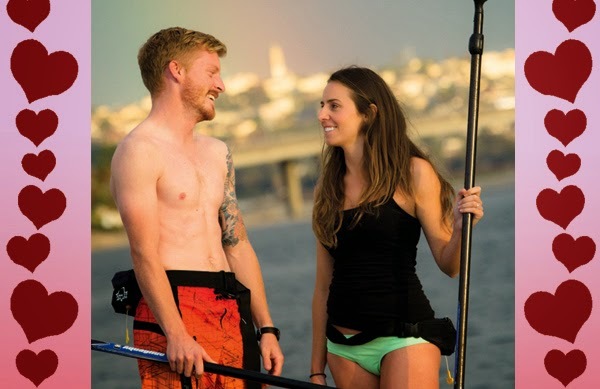 Bring your significant other, friends, or family members down for a free kayak or paddleboard rental. 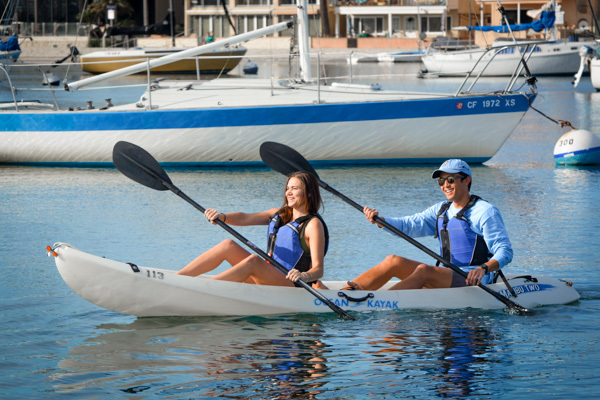 From February 14 through February 17 we are offering BOGO paddling rentals to make it easier and more affordable to celebrate with a loved one. Simply mention the discount when you arrive to take advantage of this special deal. 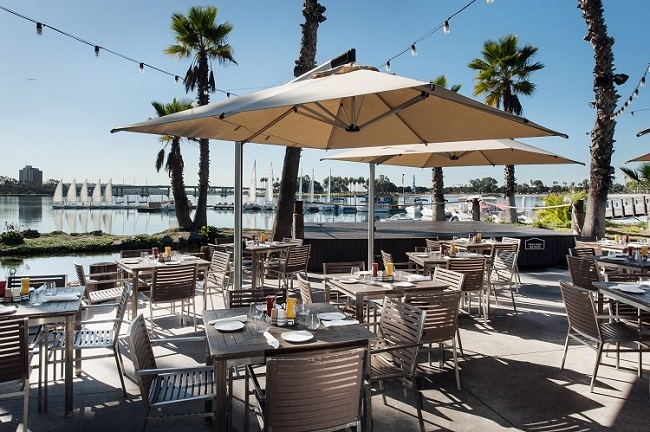 Rent a paddleboard or tandem kayak and head over to Paradise Point’s Barefoot Bar & Grill for an amazing brunch on the water. Breakfast selections include a variety of eggs benedict, banana chocolate french toast, and classic omelets while lunch options include burgers, flatbreads, and sandwiches. Then you can alleviate your guilt about indulging on your paddle back to MBAC. 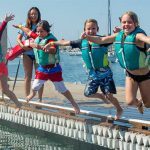 If you have always wanted to learn how to sail, our Basic Sailing class is the perfect introduction for you and your significant other to learn together. We have a class running February 16th and 17th! 2/16/2019-2/17/2019 Sa Su 9:00AM-4:00PM Enroll! Learning to surf can be a fun new adventure to embark on together and can be something you might enjoy doing together for a lifetime. 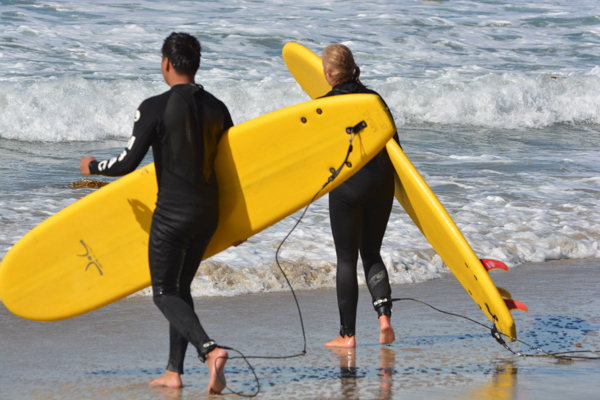 Depending on how much time you want to commit we have one, two, or four-day surfing classes that will get you started on the basics and have you up on a wave in no time. Also on February 16th and 17th, we are offering a morning on Mission Bay riding behind some of the finest wakeboarding boats available with our expert instructors. This session is open to riders of all levels! If you are looking for a romantic adventure at night, Moonlight Stand Up Paddling or Kayaking is the perfect option for you and your valentine. On Saturday, February 16th you will be able to paddle under the moon and stars. Take advantage of the glassy water of Mission Bay at night in this unique on-the-water experience. 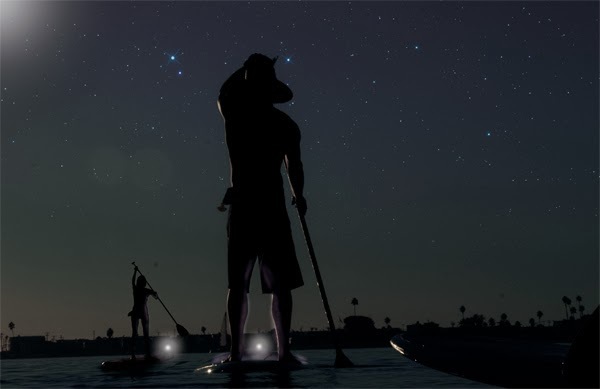 Moonlight Paddling 2/16/2019 Sa 5:00PM-7:30PM Enroll! Moonlight Kayaking 2/16/2019 Sa 5:00PM-7:30PM Enroll! 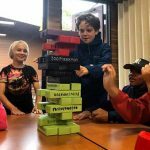 No activity at MBAC would be complete without making a stop at The Olive Café before or after your class or adventure. 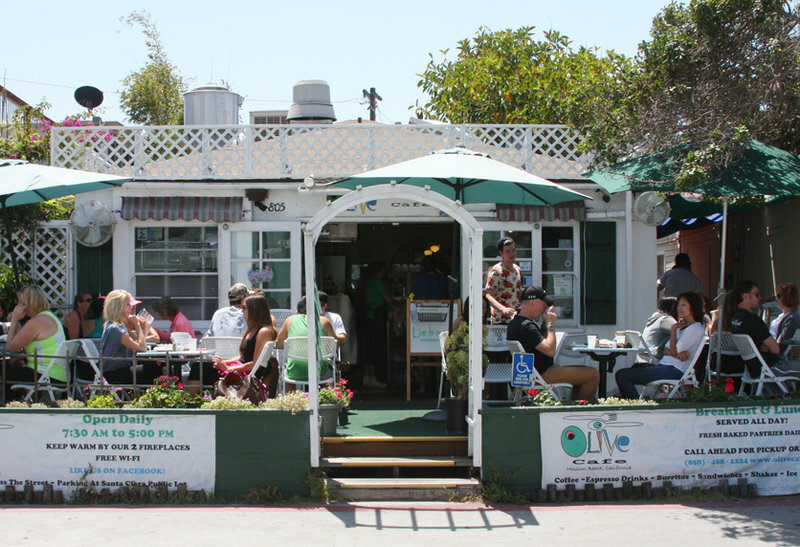 Whether you need a caffeine pick me up or some post-workout fuel, this quaint café has it all. Our staff favorites include their breakfast quesadilla, grilled veggie sandwich, and any variety of their delicious pancakes. A great way to follow up your adventure on the water for some quiet time one-on-one.